Zapier is a tool that allows you to connect apps you use every day to automate tasks and save time. You can connect any of our 750+ integrated apps together to make your own automations. What's more it's quick and easy to set up - you don't need to be a developer, anyone can make a Zap! 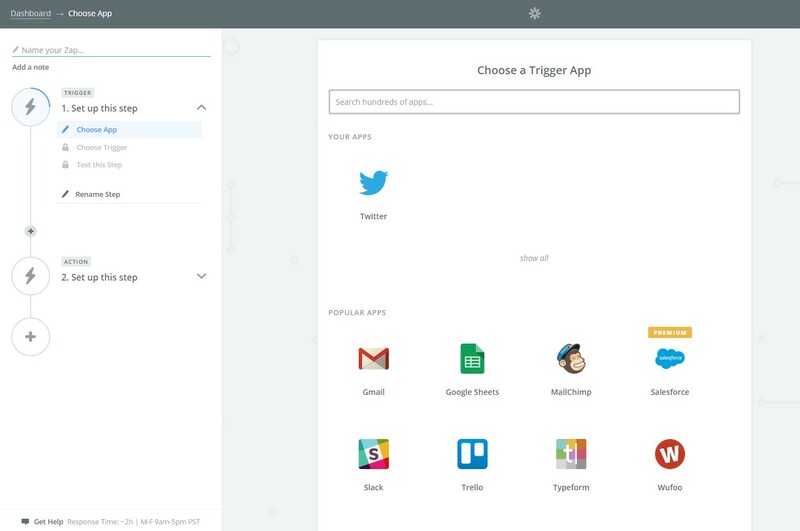 With Zapier your integrations are set up via Zaps which perform your automation for you. These automations are achieved by mixing a Trigger with Actions (like pushsafer) that are available on your favorite apps. 2) Choose a app > choose a trigger! 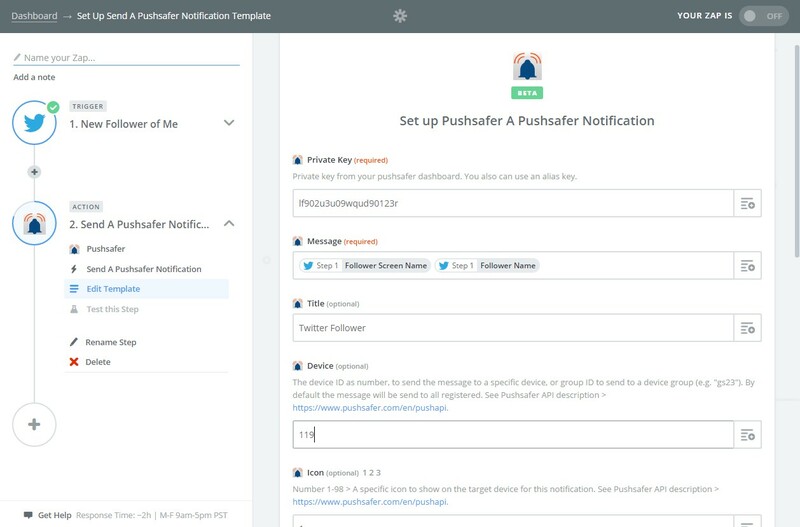 3) Choose pushsafer app as a action and set up the template!